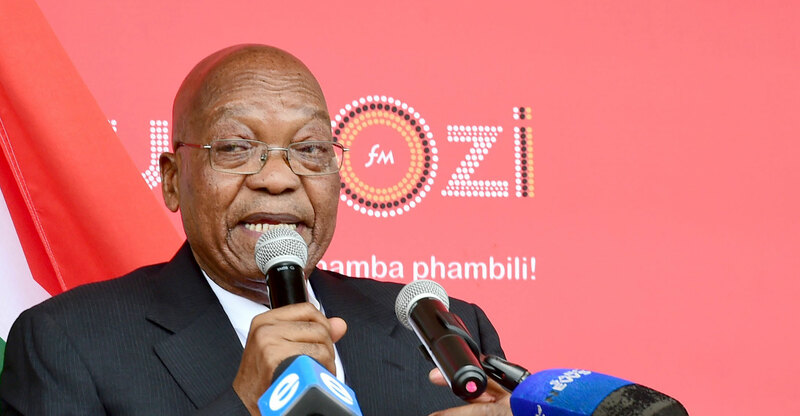 The National Prosecuting Authority said it’s pursuing 16 charges against former President Jacob Zuma including graft and racketeering that were shelved nine years ago amid allegations of political interference. The announcement on Friday compounded Zuma’s dramatic fall from power after he was forced to step down as president on 14 February to be replaced by new ruling party leader, Cyril Ramaphosa. That, and a commission of inquiry into alleged undue influence by Zuma’s friends the Guptas over his administration, will bolster the new president’s campaign against corruption. “I am of the view that there are reasonable prospects of a successful prosecution of Mr Zuma,” cief prosecutor Shaun Abrahams told reporters in Pretoria. NPA officials in KwaZulu-Natal will now make the necessary arrangements for Zuma to appear in court to face 12 charges of fraud, one of racketeering, two of corruption and one of money laundering. The NPA spent eight years investigating allegations that Zuma, 75, took R4.1m in bribes from arms dealers and charged him with corruption, racketeering, fraud and money laundering. It abandoned the case in 2009, months before he became president, saying taped phone calls indicated that chief investigator Leonard McCarthy may have used the allegations to frustrate Zuma’s efforts to win control of the ANC from then-President Thabo Mbeki. In October, the supreme court of appeal upheld a lower court ruling that found the decision to drop the charges was “irrational” and that the political considerations that had tainted the investigation were irrelevant to the integrity of the case. While the order paved the way for a trial to proceed, prosecutors allowed Zuma to make representations as to why he shouldn’t be indicted.